This is a guest post written by Peter Dann, Research Manager at the Phillip Island Nature Park in Australia. 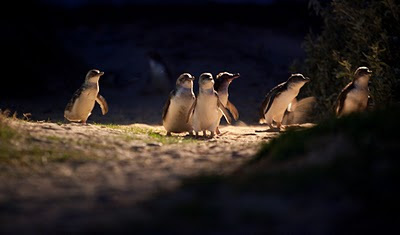 There are people in the world who don't like cats or children or rainy days but there is no one, apparently, who doesn't like penguins. Testament to this is the enthusiastic band of penguin–watchers (nearly half a million) that come to Phillip Island on the south-eastern coast of Australia to see the Little Penguins come out of the sea at dusk and cross the beach to their breeding habitat amongst the sand-dunes. 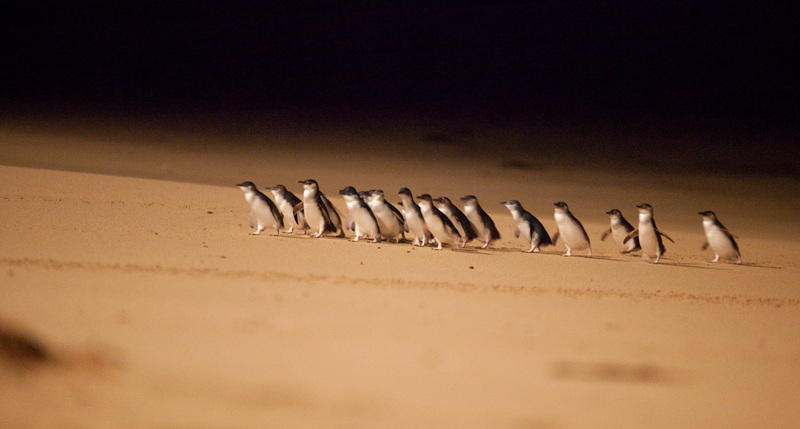 This event, known as the "Penguin Parade," has been occurring since the late 1920s and allows people to observe the penguins going about their daily lives without regard to their adoring fans. 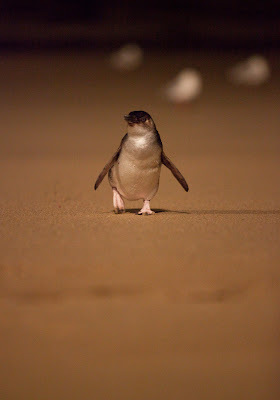 The Penguin Parade is managed to minimize the impacts of visitors and all other negative human influences on their lives, including oil spills, introduced fox predation, road deaths and plastic pollution. The good news is that the penguin population on the island has been increasing of late as some of the management practices start to bear fruit. 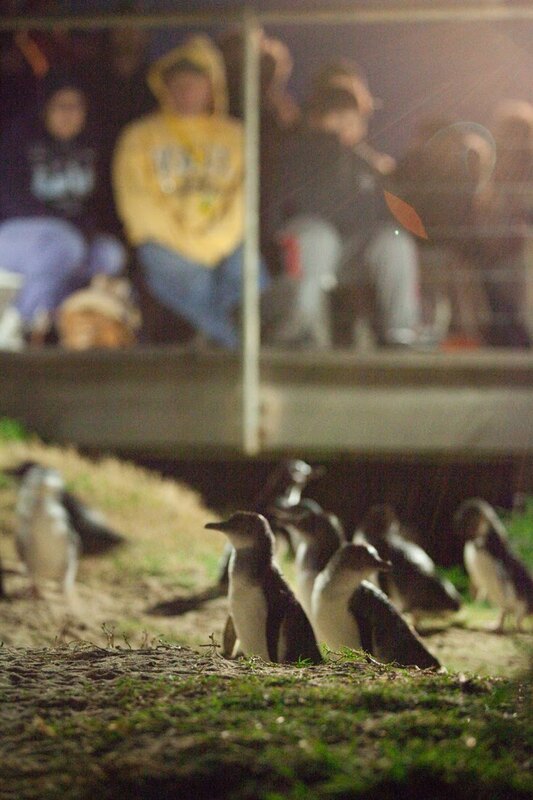 New England Aquarium Aquarist Jeremy Brodt reported on visiting Phillip Island and seeing the penguin parade in this post.